What are your plans for May 2011? Let's hope they include the Battenfelder ATV Rodeo, happening in Barrhead, Alberta. The Fraser Valley Dirt Riders Association is again holding its successful 24-Hour Dirt Rider Marathon on July 30 and 31, 2011, in Hope, B.C. 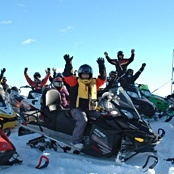 While families and club members are the most frequent users of ATV and snowmobile trails, there are an increasing number of riders who are organizing events to raise money and awareness for diseases and causes that affect thousands of Canadians. Valemount is more than just a premium snowmobiling spot—it is also a preferred choice for ATVers in the summer. The iPhone is one of the most popular cellphones on the market right now and a big reason for that is the ability to download software applications, or apps. 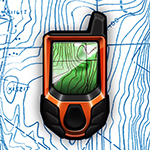 Garafa LLC has developed an app called the GPS Kit that backcountry enthusiasts may find useful. This app can be downloaded on an iPhone, iPod Touch or iPad and features a GPS system integrated with wireless technology. Create waypoints and add any metadata such as a sweet riding spot or a cabin to mark the location. Distances to waypoints can been seen in real time and the dashboard is fully customizable—users can set useful fields like time, distance travelled and elevation change. Even outside cellphone range, the GPS Kit functions true to its name. Budding photographers can get an entry-level professional DSLR camera without breaking the bank in the Canon Rebel T3i. The newest addition to the popular Rebel family, the T3i is a smaller DSLR camera, making it easily portable in your backpack while sledding or quadding. The 18-megapixel-resolution camera can also capture high-definition video and is compatible with all of Canon’s EF and EF-S lenses. A large vari-angle LCD screen is designed so that users can flip the screen for those difficult overhead or low-angle shots. Unique in-camera features include options that allow users to add a soft focus filter effect, a grainy black-and-white filter, a vignetting and colour-shift filter and a miniature-effect filter—all without altering the original JPEG file.